Smarter Grid Solutions, a leading provider of distributed energy resource management software, is today announcing the official opening of two research and development laboratories in its Glasgow and New York offices. Smarter Grid Solutions, a leading provider of distributed energy resource management software, is celebrating ten years in business. 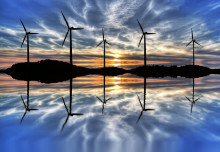 Over the past decade the Glasgow-based firm has successfully collaborated with over 30 customers to bring new leading solutions to market that enable efficient and reliable energy transition. 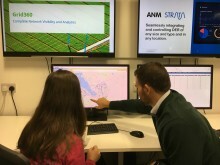 Smarter Grid Solutions has successfully completed an upgrade to Shetland’s Active Network Management system after the completion of a 5-year project with the island’s electricity network operator. Smarter Grid Solutions completes a comprehensive study on advanced technology solutions to help increase PV penetration, contributing to Minnesota’s goal of producing 10% of electricity from solar by 2030.
marter Grid Solutions (SGS) announced today that it has agreed a new enterprise licence deal with Western Power Distribution (WPD), the UK’s largest electricity distribution utility company by area. Smarter Grid Solutions welcomed Derek Mackay, the Scottish Government Cabinet Secretary for Finance, Economy & Fair Work, to its head office in Glasgow City Centre on the 5th September coinciding with the start of its 10th year of trading. 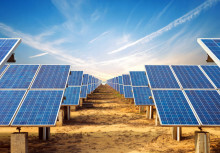 O&R announced today that it is partnering with Smarter Grid Solutions, Inc. (SGS), one of the leading providers of distributed energy resource management software, on a demonstration project designed to help developers more affordably interconnect solar energy projects to the power grid and drive greater export of renewable energy on O&R’s system. Northern Powergrid, the electricity distributor, has teamed up with Turbo Power Systems and Smarter Grid Solutions to look at new and innovative solutions to increase the resilience of the region's power network. Do you have a brainwave the world won't forget? Our CTO, Bob Currie, will be part of an expert panel of judges at this years IET Awards. Bob will be part of the judging panel looking at the Power & Energy Innovations. Smarter Grid Solutions is proud to have four of its employees shortlisted for the Scottish Renewables Young Professionals in Green Energy Awards (YPGEA), which take place in Glasgow on the 24th May. 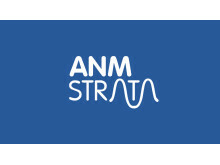 Smarter Grid Solutions has released a new version of ANM Strata. 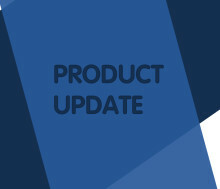 This latest version brings an improved user interface for Energy Asset Operators and DER grouping functionality. 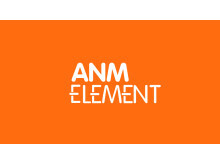 ​Smarter Grid Solutions has successfully completed the second phase of a three-phase project with a Korean chemical company, which will demonstrate the benefits of fast-acting hybrid batteries connected to electricity networks. Smarter Grid Solutions won the award for Smart Energy, sponsored by ecotricity, at a ceremony celebrating the winners on the 15th June 2017. Smarter Grid Solutions (SGS) is pleased to announce that it will be hosting several events in the run up to CIRED 2017, along with exhibiting and presenting four papers in the events poster sessions.